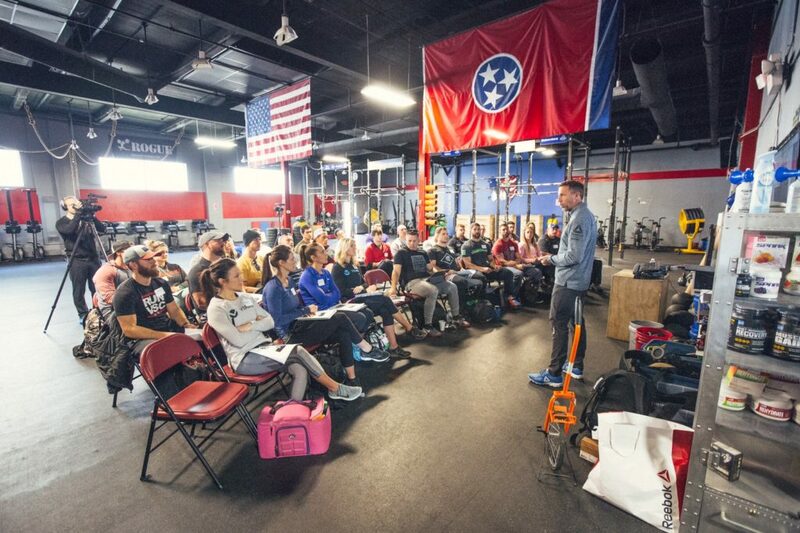 “I am going to shoot you up skyrocketing to the moon and let you freefall back down.” It is one of several truly terrifying things Chris Hinshaw says over the course of seven hours at the Aerobic Capacity seminar founded by the former IronMan. The group gathered on this picturesque day in Las Vegas are not runners. They are not people interested in becoming better runners. They’re interested in becoming better athletes. 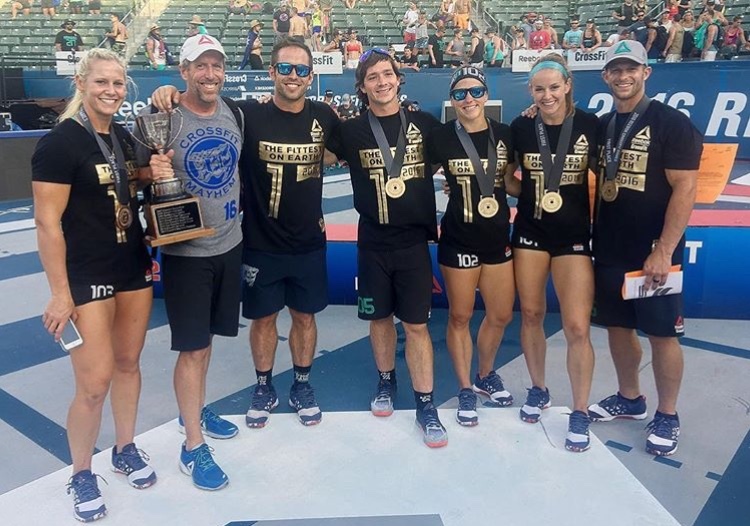 Briggs was the best female runner at The CrossFit Games and didn’t think she needed to train running. LeBlanc-Bazinet wanted Briggs to learn the hard way. 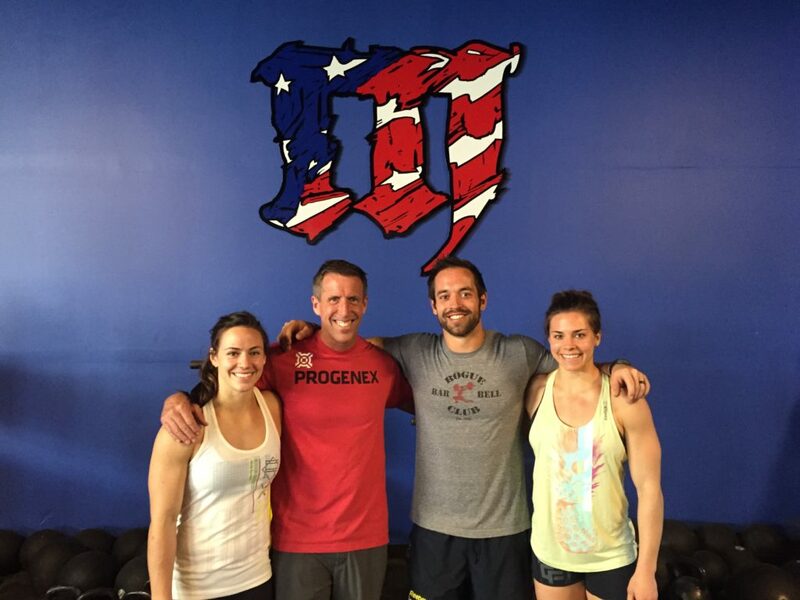 Hinshaw with LeBlanc-Bazinet, Froning and Foucher. Those legs, because of the capacity Leblanc-Bazinet has built up (she can run 12,000 meters in the morning and PR in a night lifting session), can clear fatigue at an elite rate. And that is the real secret behind running: manipulating it in a way to increase speed, recovery time and capacity. It’s about using running to train different energy systems and muscle fibers to maximize your athletic potential and leave your competition in the dust. LeBlanc-Bazinet’s answer was worth a year of loyalty. Then Hinshaw told Briggs of the deal, and eventually started working with her too, using her—and hoards of other elite athletes — as guinea pigs to test his theories. Of those hundreds of tests, Hinshaw has developed a systematic approach for using twice weekly running sessions to get better at pretty much anything. Here are some of his top tips. 1) Take ownership of the whiteboard. Look at the workout and ask yourself, ‘How long is this going to take me?’ Based on that time you’ll know if it’s an anaerobic (short, repeated bursts that require a lot of energy and recovery in between) or aerobic (longer, slower, more of a grind) and formulate a strategy from there. 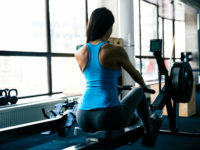 Any workout longer than three minutes need to be paced! Pacing is all about maximizing the value of a workout. Unsure about your pacing? 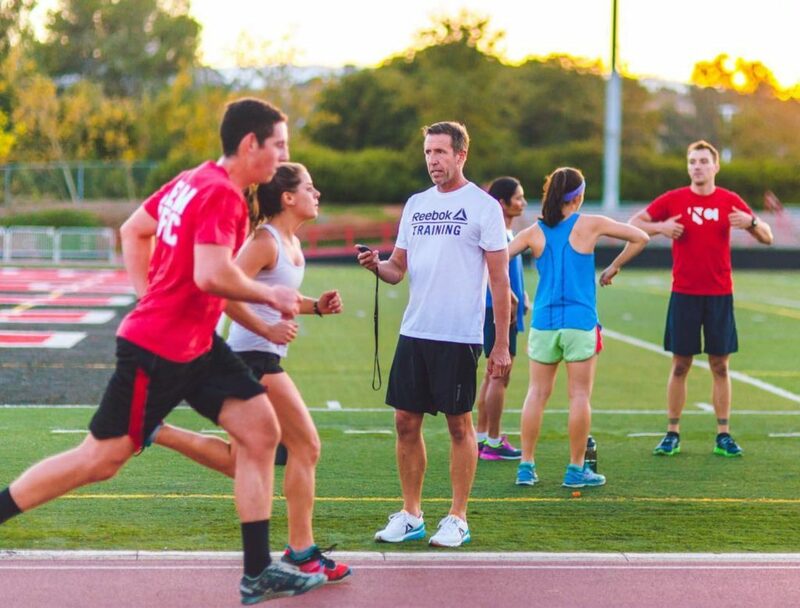 That’s where time on the track is invaluable in helping you gauge your pace. Do you know what your 70 percent feels like? Can you feel what a 30-minute metcon pace is? This is where a lot of CrossFit athletes struggle. 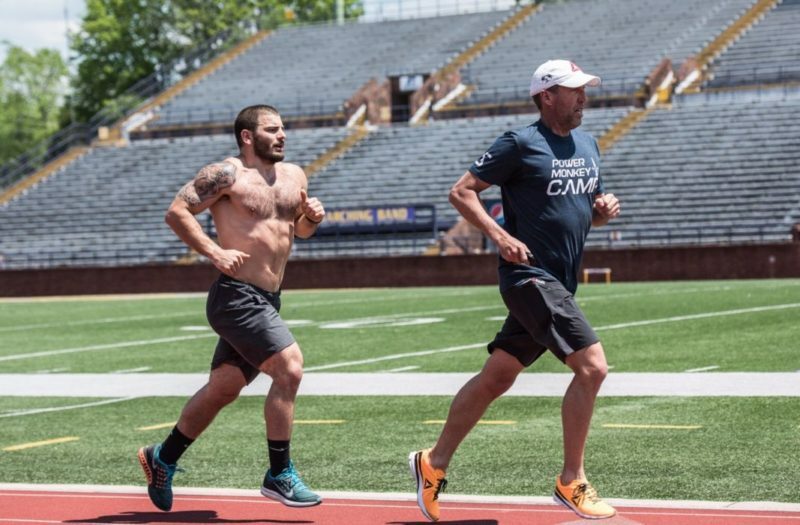 Rich Froning has everything from an all-sprint to a three-hour pace and knows without a watch what all of those feel like. You cannot approach every workout the same and expect to get better! Shorter workouts should hurt a lot more than longer ones. 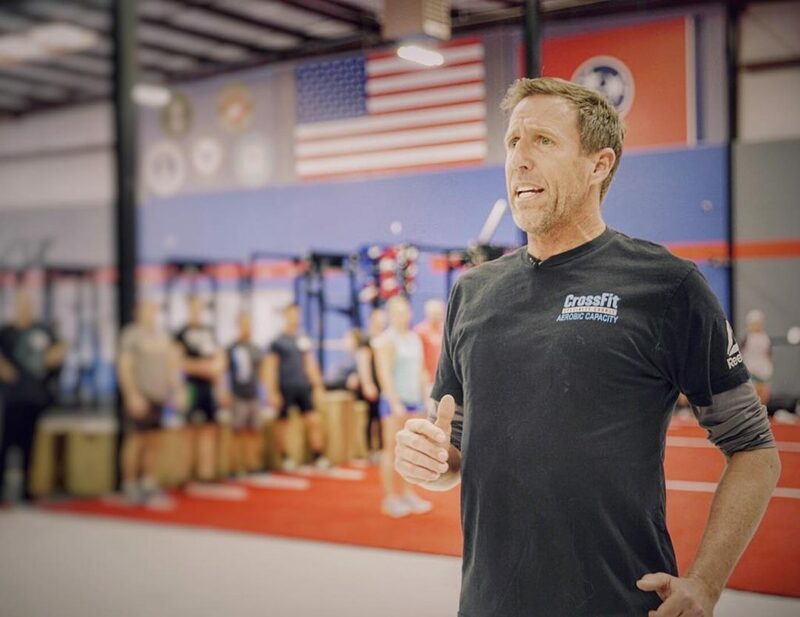 “Back in the day, there was no pacing [in CrossFit]. The mindset was “I need to attack and then just hang on.” And that’s wrong,” Hinshaw said. 2) Identify your sticking point. Julie Foucher is atypical. She entered the sport as a fantastic pacer who struggled with shorter, powerful bursts. She came to Hinshaw one day and told him her 400 meter PR was 72 seconds. For an elite athlete, it seemed slow. So, Hinshaw had her re-test it. Foucher did and it was indeed 72 seconds, but it took her three tries to even get around the track. “She said she kept having panic attacks around the 250 [meter mark],” Hinshaw said. “She’s a seasoned athlete, but she did not think about in advance how difficult it would be when she got to her sticking point. Every one of you should take every workout, look at it and say, ‘How long is this going to take me and at what point do I expect to be in trouble (aka where is my sticking point)?’ Let’s say before that 400 meter run Julie said, ‘My sticking point is at 230 meters.’ What happens if she feels her sticking point at 80 meters? Did she do a good job in pacing it properly OR did she attack it too fast? The third, and arguably most important thing to approaching a workout is to prepare yourself for how bad it’s going to hurt when you get to that sticking point. “If you grossly underestimate that like Julie did, what’s going to happen is the brain is going to go, ‘We’re in trouble and to protect you, I’m going to shut you down,’” Hinshaw said. “You need to recognize the brain’s ability to control you. If you think a pacing strategy of going fast to slow to fast to slow is a good one, you’re mistaken. Tip: Control your breath! Your body can’t calm down until you get your breathing in check. Hinshaw suggests following this rhythm for your breathing: inhale-inhale-inhale-exhale. Or take four inhales and one exhale. Frankly it doesn’t matter to Hinshaw what your breathing count is as long as it’s consistent. If it’s not consistent, your brain is going to get a panic message. What if I told you, you were only using half of your leg strength before you went to squat? That would seem horribly inefficient, right? Well unless you’re frequently training in various energy pathways you’re only accessing half of your available muscle fibers. And that sounds equally ridiculous. Froning —who walked endurance events at prior Games— had never trained to build capacity in his slow twitch fibers. And he was leaving a huge amount of progress on the table. Simply put, our body is made up of two types of muscle fibers: fast and slow twitch. 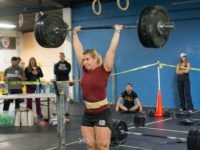 For most athletes we fall somewhere close to 50-50 in the allotment (there are exceptions, like Hinshaw) but most people come close to that medium mark. The problem is, if we don’t train both types of muscle fibers, they remain passive. And if they’re passive they can’t help you clear lactic acid (fatigue) out of your body. They’re essentially sitting there dormant. How do you tap into both sets of muscle fibers? Variety. But not just the CrossFit high-intensity kind. Let’s take wall balls for example. Why are we constantly throwing the same weighted ball to the same target? Think about basketball players. They shoot from different distances at different times during the game. Hitting a three-pointer at the buzzer is totally different than that same shot fresh because of the fatigue factor. In every professional sport, different speeds are practiced. The same should be true in CrossFit. “We need to be training a variety of speeds so that we are prepared for that fatigue at that particular movement. Not the same one, over and over again,” Hinshaw said. 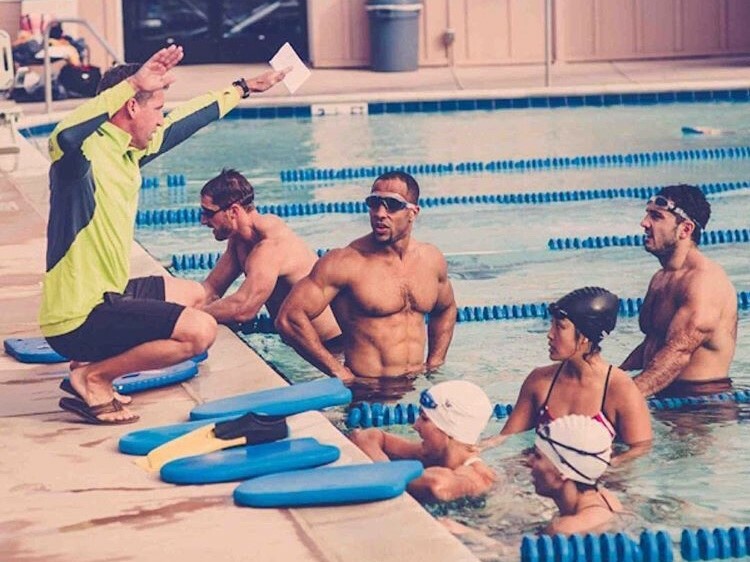 If you neglect those groups they’re just going to sit there passive, half of your muscle fibers not conditioned enough to help you get through a workout and clear fatigue. We’re not just talking about running here, though certainly endurance work could help most of us in the slow twitch category. Athletes that incorporate these principles have seen their lifts go up, their gymnastics improve and—like LeBlanc-Bazinet—are surprised by how much better every aspect of their training becomes. Think tempo work, workouts for quality and long, slower metcons. The emphasis is not always on the work done. Sometimes it’s on the rest, sometimes it’s on the distance or speed, regardless of how long that takes. Maybe you’re reading this and wondering why you need to worry about all these muscle fibers and winning the workouts. You aren’t an elite athlete or super competitive. 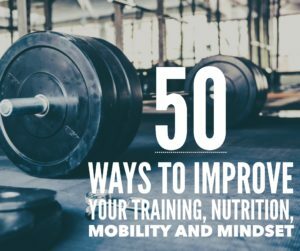 This is JUST as important for you because those three tips, and the ability to tap into these muscle fibers, is going to drive adaptation quicker. You are going to improve and see results faster. You are getting a better use of your hour and you’ll be a more well-rounded, healthier athlete. For more information on these concepts or to check out Hinshaw’s endurance program and seminars, visit Aerobic Capacity’s website. aerobic capacity, camille leblanc-bazinet, chris hinshaw, crossfit, endurance, julie foucher, lifting, rich froning, running. Bookmark.